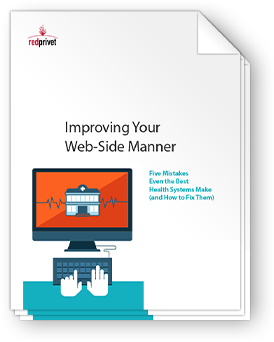 For many of your patients, your website is your health system’s first impression. Are you making a good one? In this guide we’ll show you the top five mistakes even the best health systems make with their digital patient experience and how to fix them. for your ailing "web-side" manner. We’re design thinkers and doers that help companies solve their most complex customer experience challenges. We empower customer experience owners to achieve competitive advantage, operational efficiency and smart execution through deep customer understanding, evidence-based analysis and human-centered design. Red Privet supplies the confidence you need to make the best decisions for your customers—and your business.